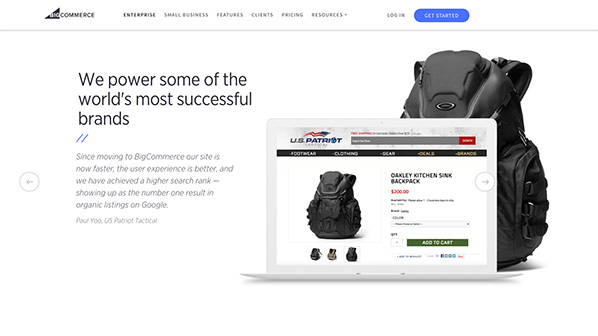 As an ecommerce solution, BigCommerce​ is trusted by many of the world’s leading enterprise brands. Consider, Toyota, Schwinn, and Martha Stewart, just to name a few. If your online business brings in more than $1 million per year, take a page from these industry power players. 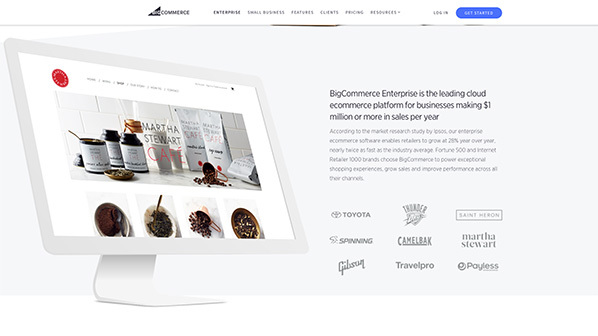 Consider just a few of the factors that make BigCommerce a perfect choice for enterprise businesses. Enterprise businesses are often required to manage thousands of individual products. Unfortunately, many ecommerce website builders aren’t equipped to meet that kind of demand. 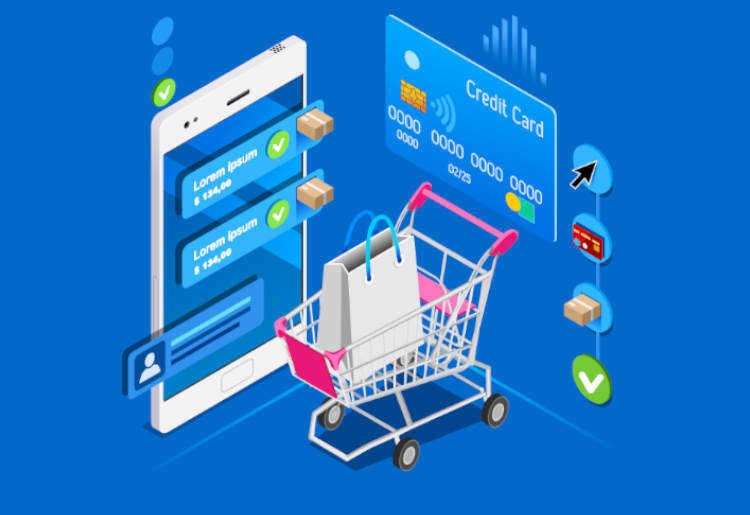 BigCommerce not only allows the listing of unlimited products, but the platform also affords unlimited storage space and bandwidth. When you’re pulling in seven figures or more, every percentage of revenue is significant. Those small nickel-and-dime fees can add up to thousands or even tens of thousands of dollars per year. BigCommerce allows you to choose from nearly four dozen major payment processors, so it’s easy to compare the options and find the best rates based on individual needs. In addition, BigCommerce never imposes their own transaction fees, no matter how many orders are processed. Many ecommerce platforms place caps on the amount of revenue you’re allowed to earn or the amount of orders you’re allowed to process — even at the enterprise level. 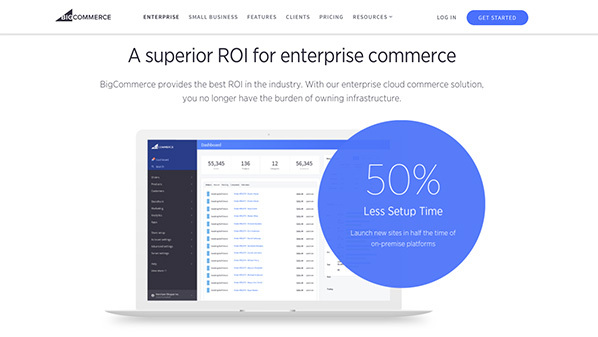 BigCommerce imposes no such restrictions on enterprise customers. With a Enterprise membership, there is no limit to the number of orders accepted or the amount of money earned. Which leads us to our next point. Scalability is a problem for many growing businesses. Everything is fine when pulling in $100,000 a month, but things start to get messy as your revenue climbs toward $150,000 and $200,000. Suddenly, the website is no longer able to handle the traffic, and your ecommerce provider is preventing new sales from processing. This is never a problem with BigCommerce. The open-architecture platform is infinitely scalable, growing with the business and adapting to meet the customer’s evolving needs. Enterprise businesses appreciate the industry-leading BigCommerce API, capable of processing over 400 requests per second. API stands for “Application Program Interface,” and it enables you to program your own custom software applications and protocols to run your online business. Use the BigCommerce API to professionally modify and customize your shopping cart, catalog, logins, and other important features. Best of all, BigCommerce Enterprise customers are allowed unlimited API calls, so you can make as many adjustments as needed and test different protocols until you get it just right. Top-notch security is absolutely critical for enterprise businesses, and BigCommerce does not disappoint. As an Enterprise customer, you can even choose between standard and 3rd-party SSL certificates for additional encryption and customer confidence. For an enterprise business, even a five-minute outage can result in thousands of dollars’ worth of lost revenue. Reliable uptime is critical, and BigCommerce is renowned for its industry-leading consistency. The industry average for uptime is 99.95% among major hosting providers, but BigCommerce averages an astonishing 99.99%. 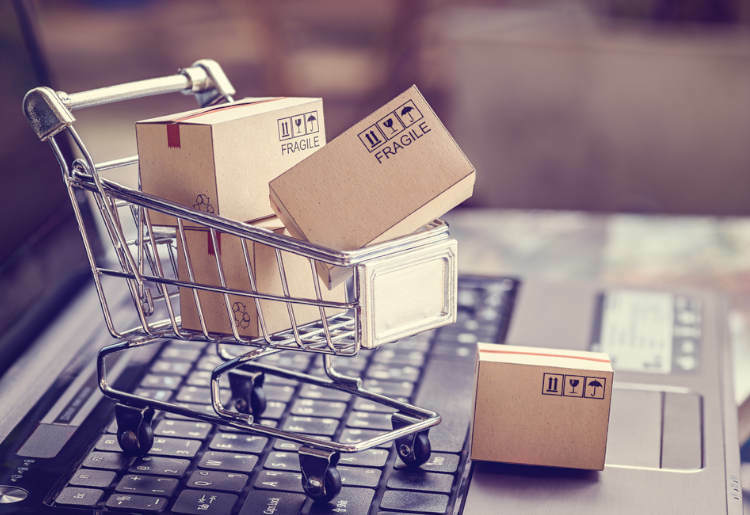 If your enterprise business includes both an ecommerce presence and a traditional brick-and-mortar storefront, BigCommerce offers yet another competitive edge thanks to its seamless point-of-sale (POS) integration. With just a single click, you can connect a BigCommerce store to a range of leading POS providers like AmberPOS and Springboard Retail. BigCommerce also has native integration with Square, so it’s easy to accept payments from smartphones and tablets. All of the data will be processed right alongside ecommerce sales. Available only to Enterprise customers, strategic account management is a great way to stay up-to-date on the trends and grow your business. You’ll be assigned a personal account manager who understands your business and the industry. This expert will offer assistance, advice, and custom strategies based on the latest market research and time-tested techniques. Every BigCommerce store owner has access to 24/7 support, and that’s an enormous benefit in itself. Enterprise customers, though, receive express routing. This means shorter wait times and the guarantee of dedicated support from experts whenever it’s needed. 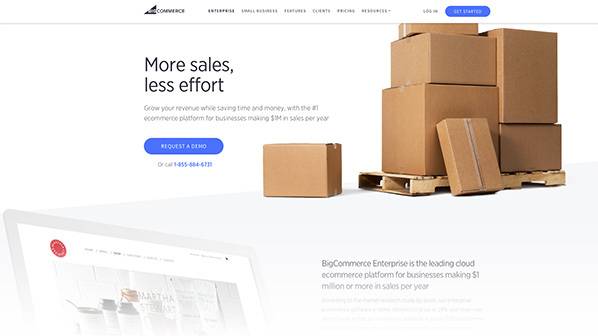 We could go on about the many other factors that make BigCommerce a standout platform for ecommerce businesses. There’s the low cost of ownership, the easy blog integration, the single-page checkout feature, and the availability of Apple Pay. Ultimately, though, it’s up to you to decide if BigCommerce is the right choice to meet your needs. The company offers a 15-day free trial, so you’re welcome to try it risk-free. 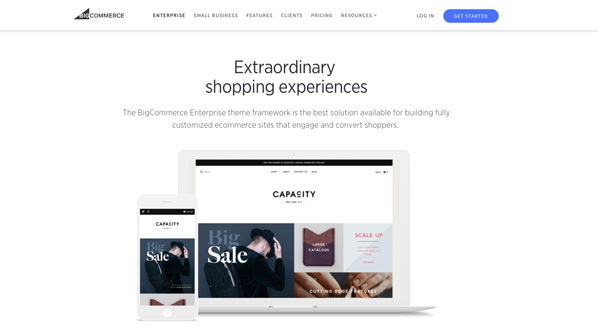 Explore BigCommerce and discover why this platform is preferred by so many of the world’s leading brands.